Slow as molasses is about the best description I can come up with in regards to my Christmas decorating. I got started on my mantel, however with a major monsoon going on outside (that’s my shopping centre for all things green), the branches would have to wait. The delay proved to be good I suppose. The extra time made me muse over the ‘mantel story’ first. As in, what am I even collecting all those loose branches for? A story helps theme the mantel so it makes sense. One of my fav Christmas adventures is striking out in the mud in search of the perfect live Christmas tree. Before you even get to the trees though, there’s a wealth of goodness along the entire stretch you’re likely walking on. Broken branches are generally all over the place, begging to be put to good use. Some smaller local tree places will allow you to haul the aftermath home. However, since I am not getting a real tree this year, I will need to wait for a windstorm to hit our area. 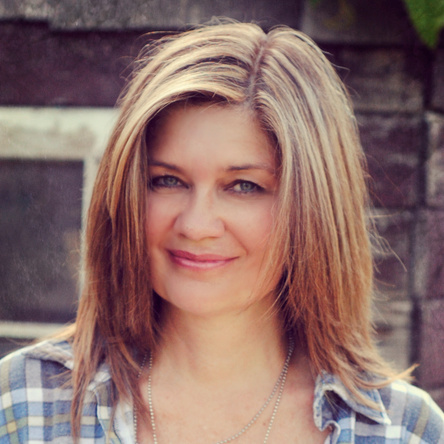 That’s the perfect time to dash out there with an empty truck and a hopeful heart that something good landed on the ground, like I did in THIS post. Do you do this too? 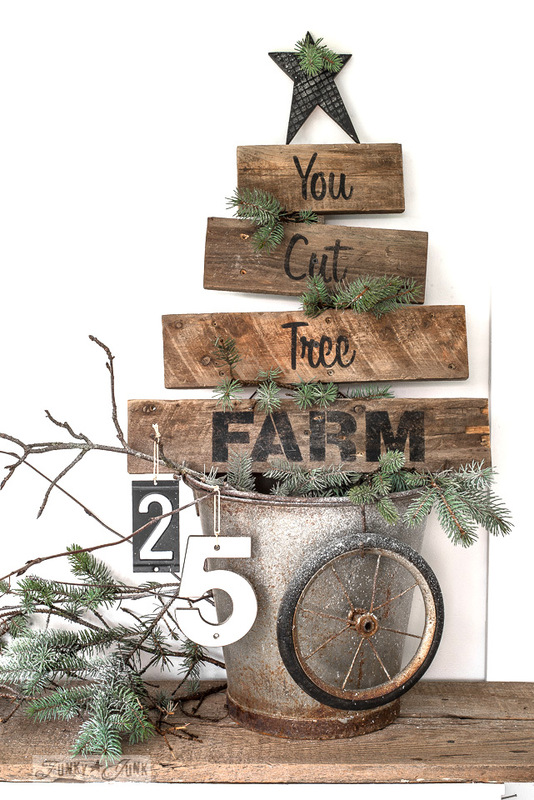 And with that… I decided my gathered-up greens this year will be part of the story of my beloved tree farm visits. Which was actually the inspiration for this stencil design to begin with. 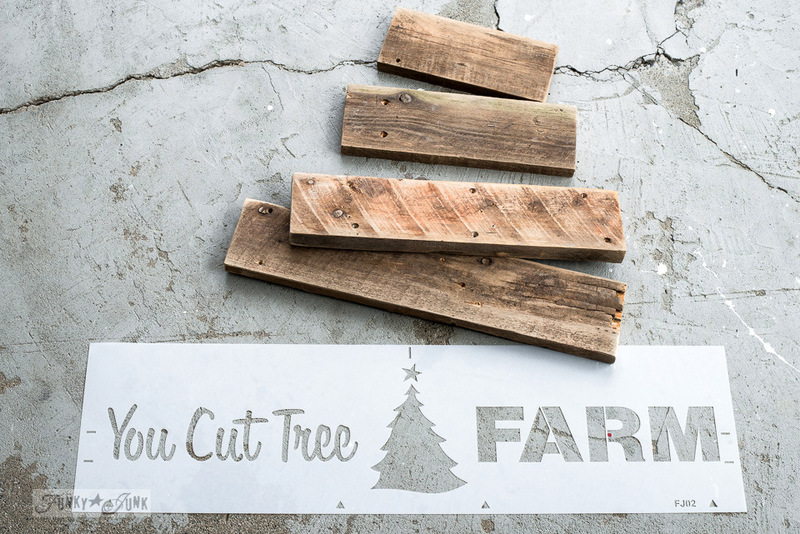 This little reclaimed wood You Cut Tree Farm sign is a very quick and simple project to make, and gives you a nice dose of rustic festive charm if you need a little something more hung up. My plans are to use it on my mantel, however it could also be used in an entry for keys, hanging mugs for a hot beverage station, stocking hanger… how would you use it? 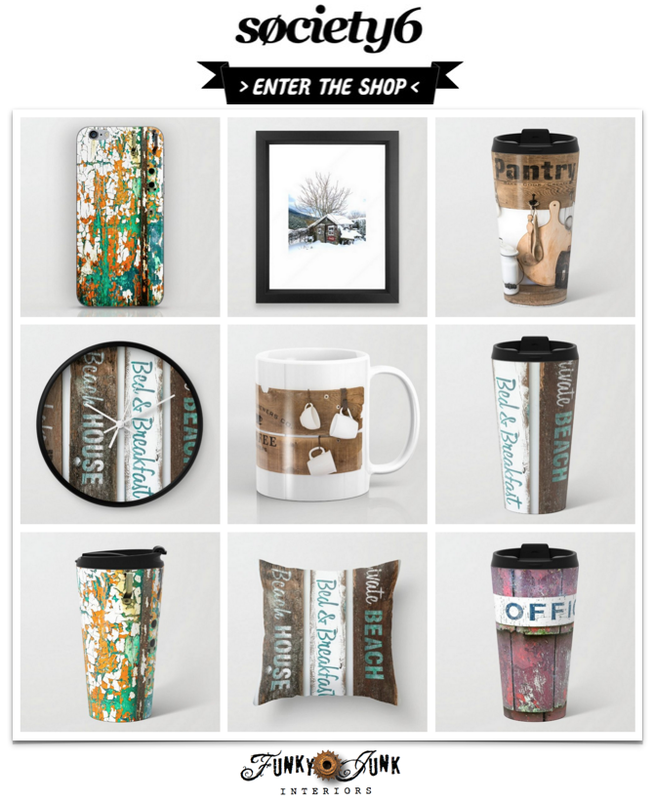 So, here’s the nitty gritty details, and then the photo show below! This post contains some Amazon Affiliate links so you can find cool products I used and like. 1. 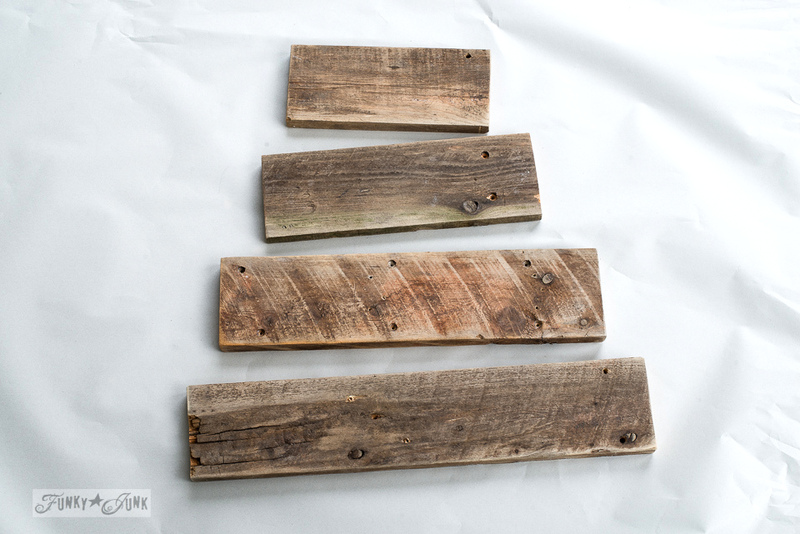 Cut 4 pallet wood planks to graduating desired lengths. I used straight cuts, however angled cuts would look cute too! 2. Lightly sand each plank. I like to use a palm sander. 3. 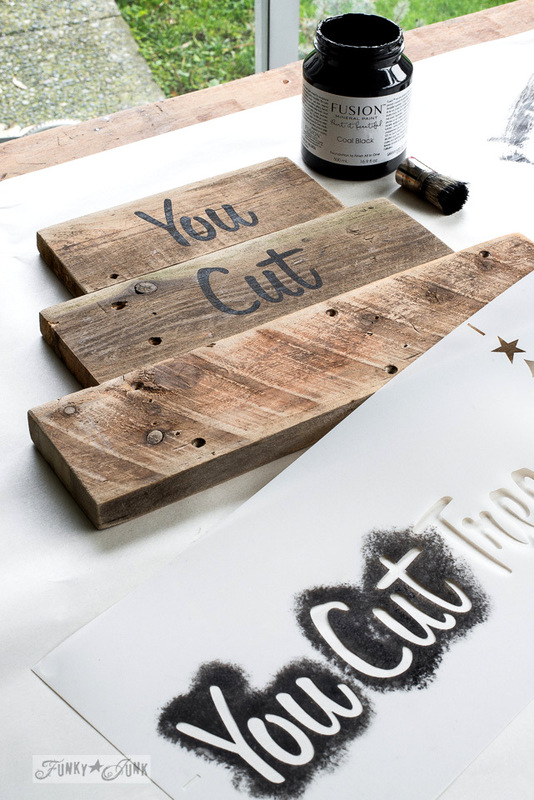 Before cutting your planks, ensure your desired words will fit on the intended surfaces. 4. 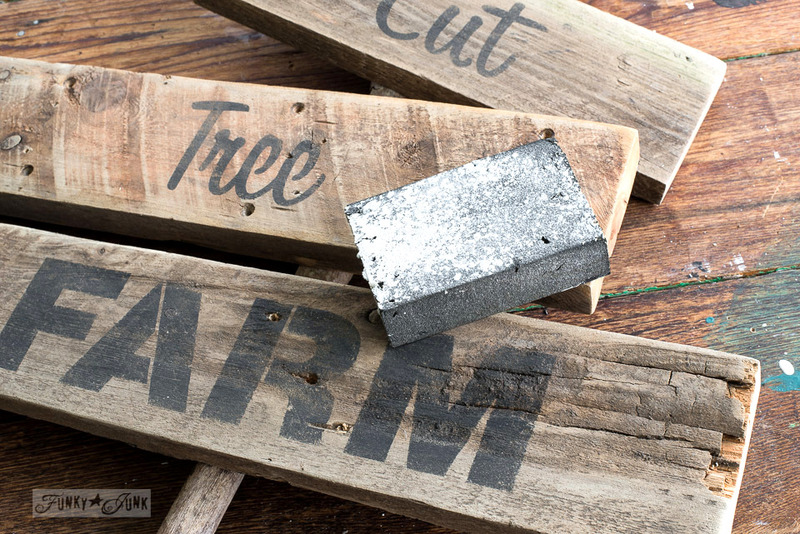 Centre each word onto each pallet wood board, and stencil in black. Looking good! 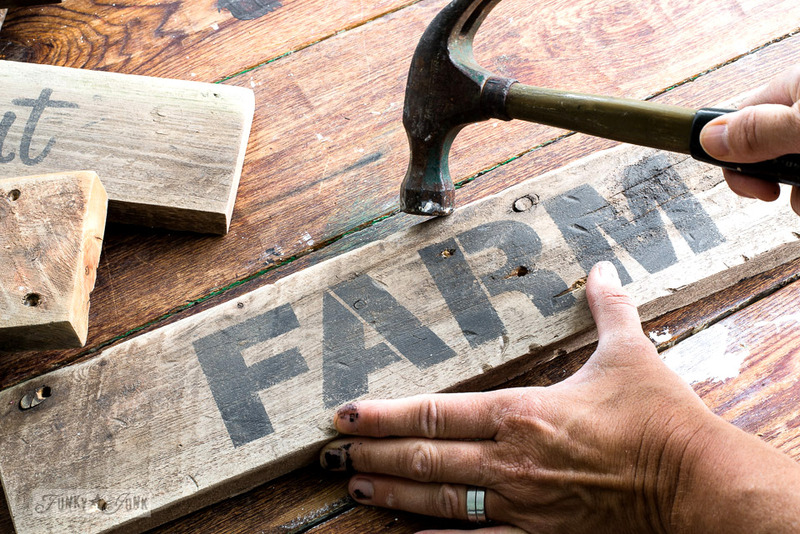 However for old signs, they look a little too new… so let’s fix that. 6. 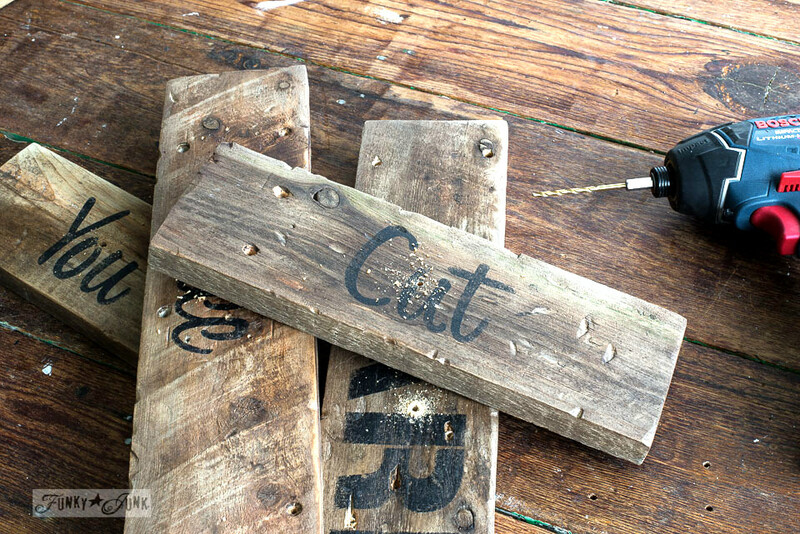 Slightly sand over the painted letters with a sanding sponge to distress them down to the wood in random areas. The black paint will slightly fade, however we’ll take care of that part in a minute. 7. To further distress the boards, pound a hammer onto the board surface and edges from different angles to achieve a naturally beat up appearance. 8. 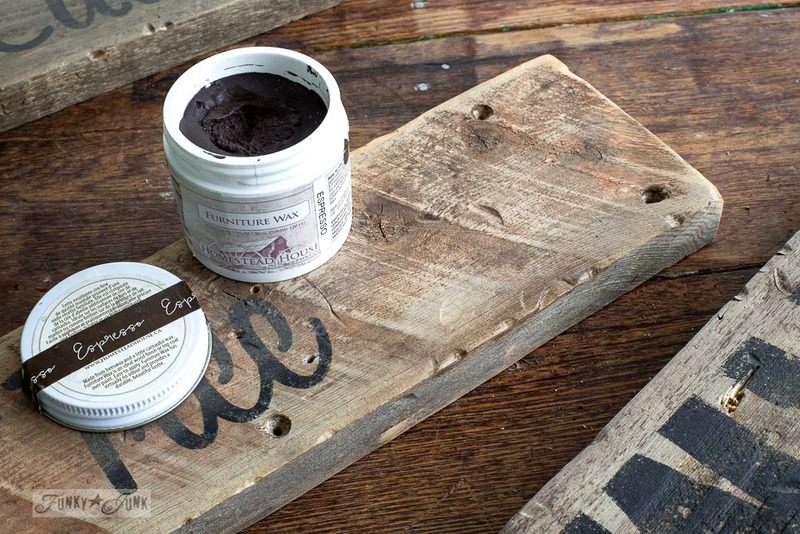 Apply an antiquing wax onto any hits and along edges where you’d like to see more depth in the wood. I used Homestead House’s Espresso Furniture Wax. Lovely stuff! Wax tip: For absorbent wood or painted surfaces, another option is to wax the entire piece with clear wax first, then follow with tinted wax next. This will give you more control on the intensity. Clear wax also works like an eraser if you wish to remove dark wax! Good to have on hand. I used it to remove a little intensity, then lightly go over the lettering to bring their depth back. I used Miss Mustard Seed’s Furniture Wax HERE. 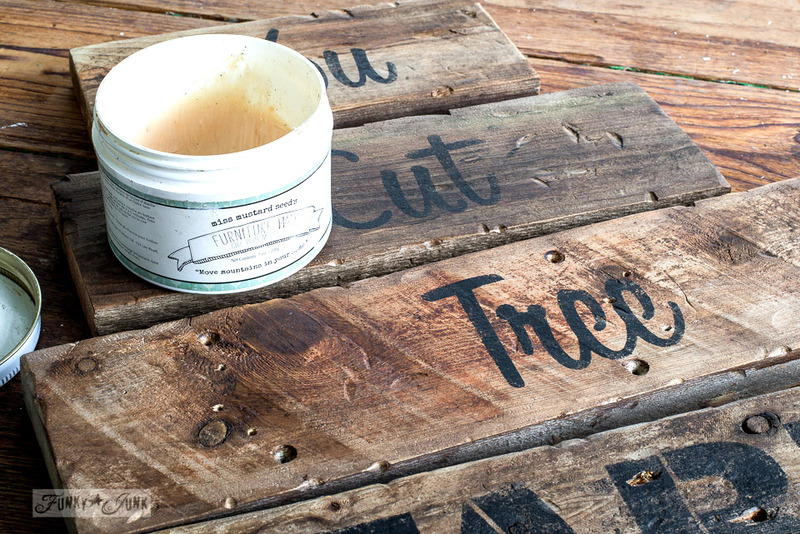 It’s REALLY great stuff and offers a nice, natural finish. 9. Using a cordless drill, predrill holes into the centre of each plank. 10. Screw each plank onto the branch. I chose to leave a gap in between the planks so I could twist them helter-skelterish. 11. 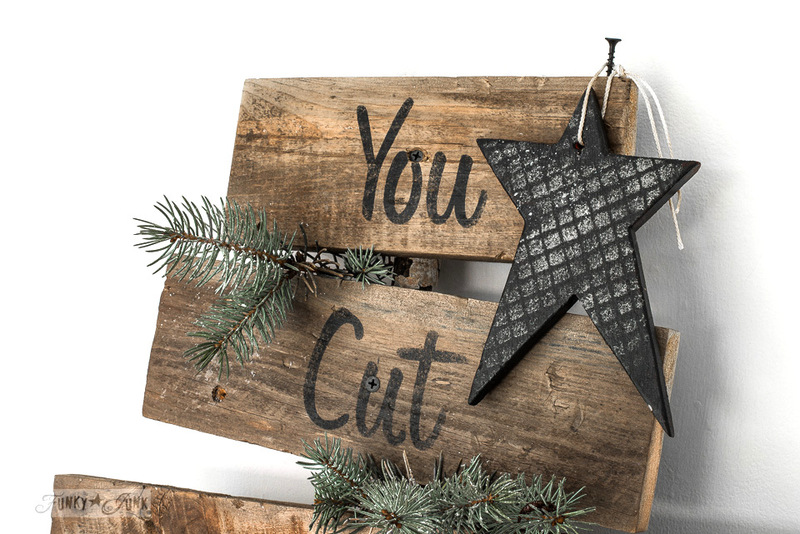 Using a wood star ornament I had on hand, it was painted black, then stenciled in tan with a grid pattern. 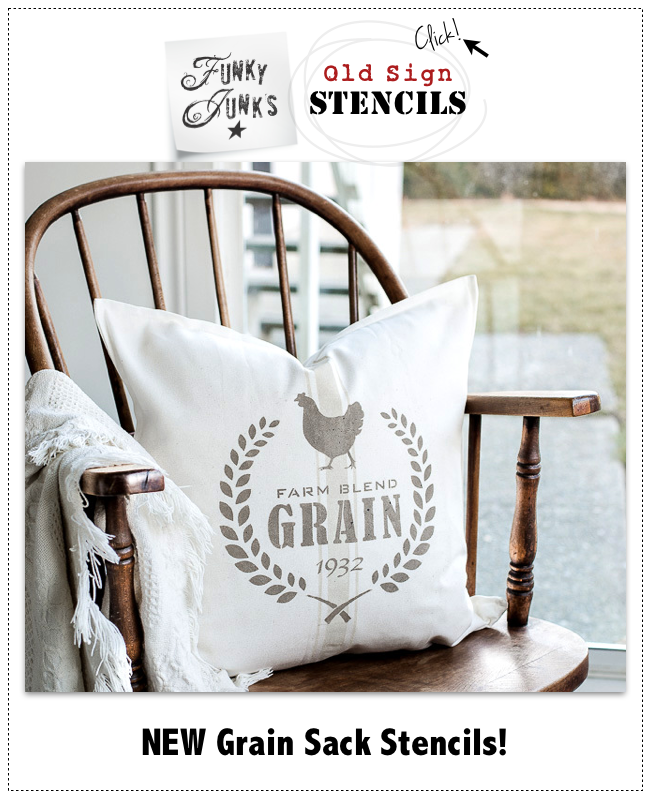 Grid pattern – is from an antique soil sifter found in THIS post. Cool, huh? 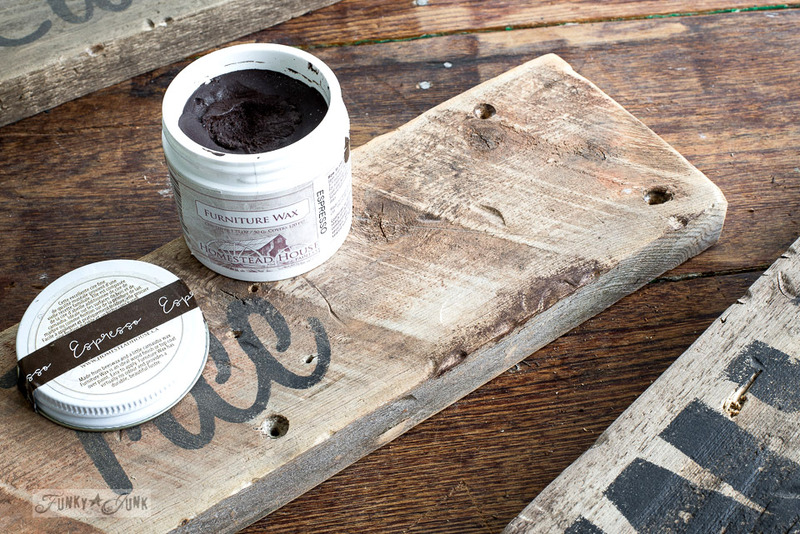 Paint used is Fusion Mineral Paint’s Coal Black and Algonquin. 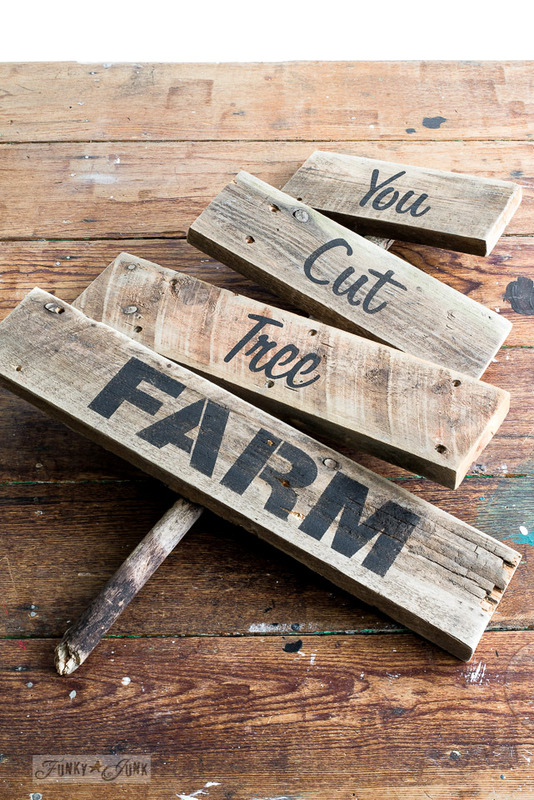 And you have yourself a pretty cute little tree farm sign that’s ready to _____! 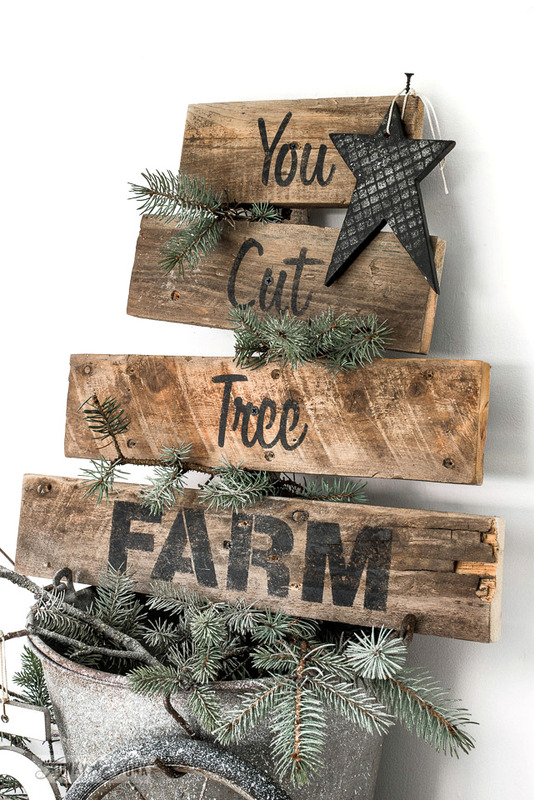 In a perfect world, I think a collection of all kinds of mini Christmas trees would look DARLING arranged with this sign! 12. 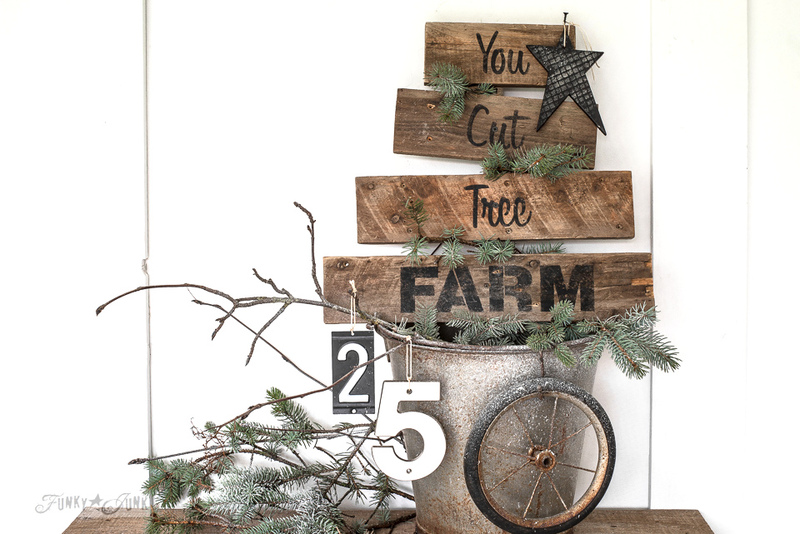 Mount the sign onto a wall, or as I did, place it inside a metal bucket, and pretty it up! Snow spray was used to bring out a little winter fun. Now let’s all pretend this is sitting on my mantel alongside MANY MORE branches I KNOW I will find next time the wind blows. This tree is awesome, Donna! I love it! Thanks Julia, this was a fun one! It’s already in its new home… now to get out in monsoon #2 and get some branches to finish the job! 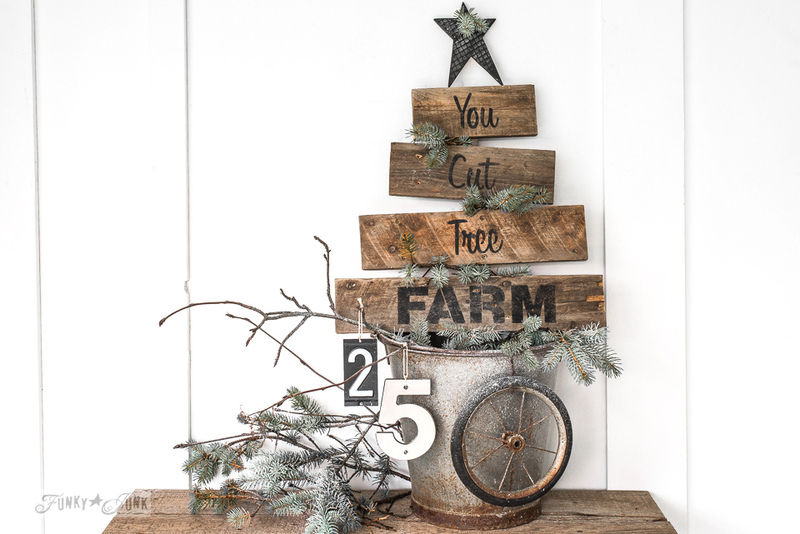 Love the wood Xmas tree! I think the wood trees are unusual and really my cup of tea! Did you notch the spaces where you attached the wood? I thought it looked like it. Would you recommend It? Thanks for a great post. Oh, I think using the old sifter to create the grid pattern sounds like something I would do! Hey Joanne! I did not notch out any wood, although I suppose if the branch was beefy enough one could. My branch was pretty small (this entire sign was small) so I didn’t feel a need. Another easy way is to simply screw the sign boards onto a flat plank of wood. Love, Love, Love this Donna! How Awesome! Thanks Sandi! 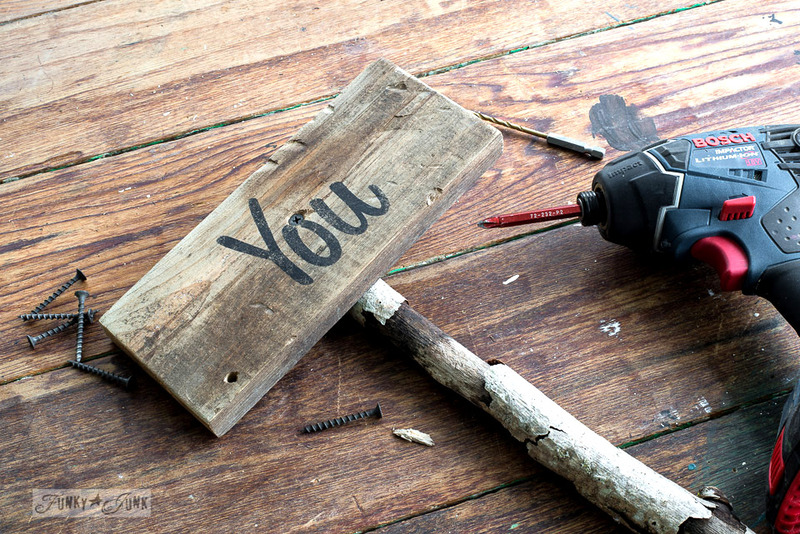 These little projects make decorating so easy! Very cute and my kinda Christmas tree. I usually put up my upside down Christmas tree. I am behind on decorating…I was suppose to get my house lights up, neighborhood ritual but I didn’t. There is always tomorrow…. Thanks for all the photos of your Hawaii trip. Loved seeing the adventure. Haha! Well Mary, I can attest the ‘new minimalist junk me’ is much happier. I wasn’t even sure I wanted to haul out anything for Christmas! Still fighting the extras… egads. Be careful when you reach this point… you may end up with NOTHING. I’ve said this before & yes, I’m saying it again! I LOVE YOUR STUFF! Lol! I LOVE your style! I had to laugh when you talked about finding branches & sticks on the ground that you KNOW you’ll have a NEED for! I do the same thing! Lol! What’s a person to do? You’re out for a walk, you look down, see some perfectly straight AND crooked branches, and immediately a VISION just pops into your head! Do you just walk away? Leave them there?? I think NOT! Hahaaa! Found some great rusty bells today and thought of you. Foraging for greens is the best plus you get a walk in as well.